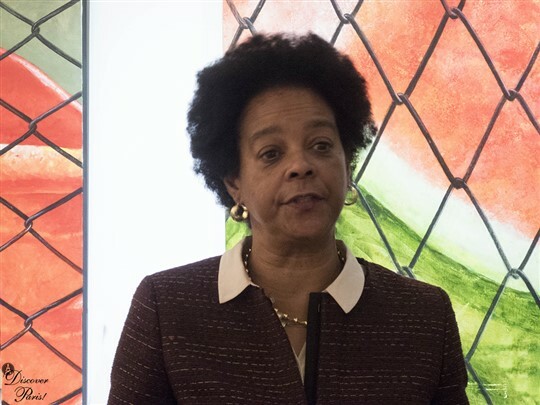 Fulbright scholar and Entrée to Black Paris intern Sonita Moss is conducting follow-up interviews with several of the women featured in our Black Paris Profiles™ interview series. Today's article features gallerist Laurence Choko. Laurence Choko says this and immediately begins to laugh. She used to get angry at such remarks from visitors to her gallery, but now she uses that energy to educate. Part of the concept is to get people to see the expression of Black fine art as actually a universal experience. As we know, Black art has always been marginalized. And I knew that to be an activist [in the streets] wouldn’t help, so I had to find a strategy to put together masters from the Western fine art culture along side Black artists to show that Black fine art is just as significant. 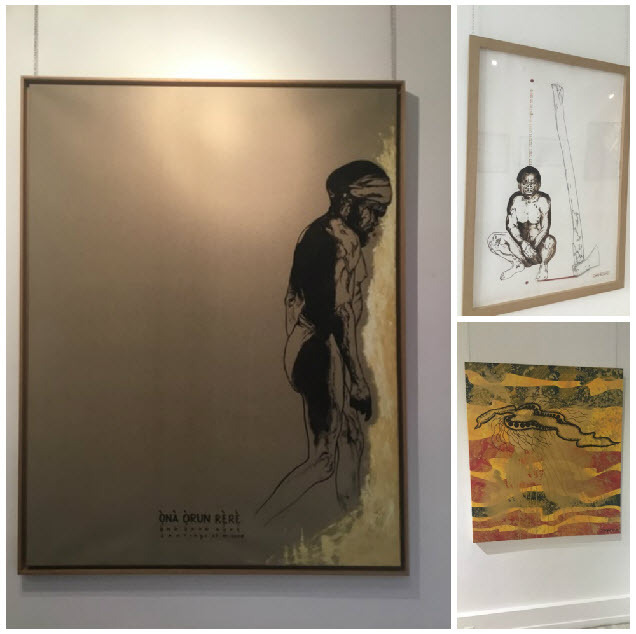 When I started in the ’80s, I would put artists from the African diaspora next to big names to get the French audience’s attention, because when they saw the Black artists next to other artists, they began to think, "Why have they never been represented?" Black artists face barriers that other artists don’t. For instance, their art is often considered naïve, simple, and “less than.” According to Laurence, “…it’s as if whatever they paint, it will never be defined as fine art.” Further, many people do not understand that the African diaspora is a global phenomenon: one can be Cuban and Black, British and Black, Asian and Black. Art is an expression of life. It’s something everyone can see and share…I suppose that what Black artists want is to not be marginalized, according to the Western market. Black artists are artists. There are separate markets because of discrimination, but this should not be. Since she was a child in Martinique, and then as a young girl in Paris, Laurence’s heart was set on making a mark on the art world as a curator and owner. In accordance with this, identity is irrevocably tied to her racial identity. I’m a French citizen but I am from another culture: French-Caribbean culture. I was raised in the French culture, and it’s a big part of my identity but, but there is a difference between me, a Black woman, and a white woman. It doesn’t mean we can’t be friends or sisters but I consider myself first as a Black woman. The challenge of the business is that art isn’t necessarily considered a necessity, and so Laurence must work hard to continue her business. Laurence states that supporting the gallery can be anything from visiting the gallery to purchasing the art. The love of her job is opening a new world to artists and everyday lovers of art. Sometimes I would lose faith because I thought if “What is the mistake I made that delayed the materialization of my efforts?” You must be prepared, and prepared to face obstacles. Trust in time if you are doing what you want to do, and be willing to do what it takes. I have no background in business, but I also want to be an example for my daughters. Laurence’s grandmother is the woman she looks up to and remembers fondly. Her name was Mathilde, and she was the first-born of 13 children in Martinique. She had her own business selling fruit, but she also took care of everyone. She was beautiful, she always had a beautiful smile on her face because she wanted to show everyone that everyone would be fine. She didn’t go to business school, but she had the common sense of how to provide for a family. She didn’t have an example, she just went and found the strength to succeed in her business. She told me “the only thing that protects me is values,” and I do that too. 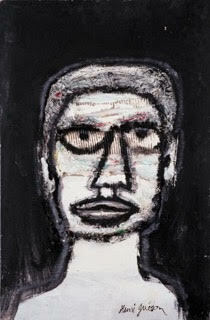 Laurence is moved by art that speaks to you and transcends an experience of race, thus feeling familiar to the viewer. She is in alignment with this calling, a passion for art, and a desire to display this art to the world. For the past two decades and into the future, the result of her labor is the gallery. Galerie Intemporel translates to “Timeless Gallery,” because history is critical to understanding our lives now, and in the future. One of Laurence’s favorite artists is Henri Guédon, a Martinican artist and musician who passed away. A Guédon work that currently hangs at Galerie Intemporel is a rendering of Jean-Michel Basquiat. 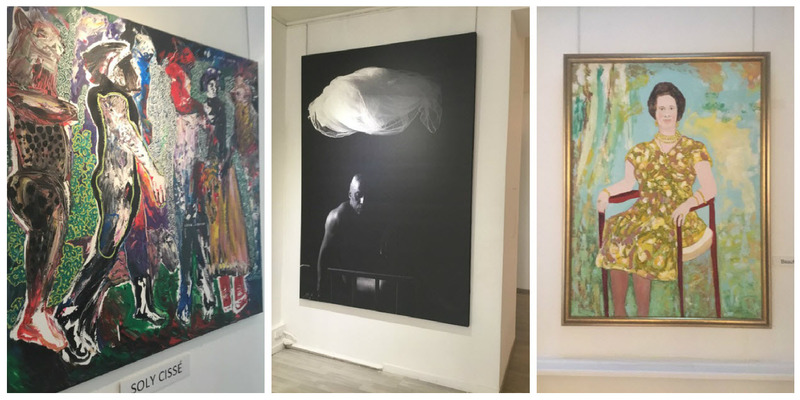 To see these paintings and others, pay a visit to the gallery. Even if you’re an art amateur, like me, Laurence is happy to show you around.